Since two full moons ago, only one night in seven has been clear enough for us to see the moon. Yet I always know where the moon is relative to the sun and the stars and our horizons, and I always know whether our moon ascends or descends and when it stands still and when it crosses over, and I always know whether it has come closer to us or is farther away, and I don’t need to see it to know. Even so, the moon is always a welcome sight, even when it is so close and full that its light makes nearby stars as invisible as on a cloudy night. And since Jupiter went retrograde back in early December, we’ve had little opportunity to watch the majestic giant back away from Regulus. Yet from the rare evening clear enough to catch the planet rising to the morning clear enough to watch it fade to the sunrise, I can tell the hour of day by its path across our winter night, and I can tell how far we’ve gone into the season by how far the planet leads Leo. Still, Jupiter is always beautiful to witness so bright overhead, and this winter on clear nights it has become the first wanderer I turn to see. And we’ve had mostly clouds and rain through the past dozen cycles of Algol. Yet as easily as knowing dawn and dusk I can tell when the demon winks, and I know where Medusa’s head floats even during winter’s daytime when it crosses over the other side of our earth, and I know it’s a glimpse of Algol I’m catching even if it’s the only star peeking through a passing break in our clouds. Nevertheless I love having skies open enough to trace the path I love to trace from Saiph through Bellatrix all the way over to Cassiopeia, then back to this fave. Like a love that never grows distant life after life after life, but grows only closer, more and more intimate, so is my friendship with the stars. And like one can never study too many math books, like one can never lose oneself in too many chess books, like one can never fly too far on too many poetry books, likewise I can never have too many books about the skies around me. 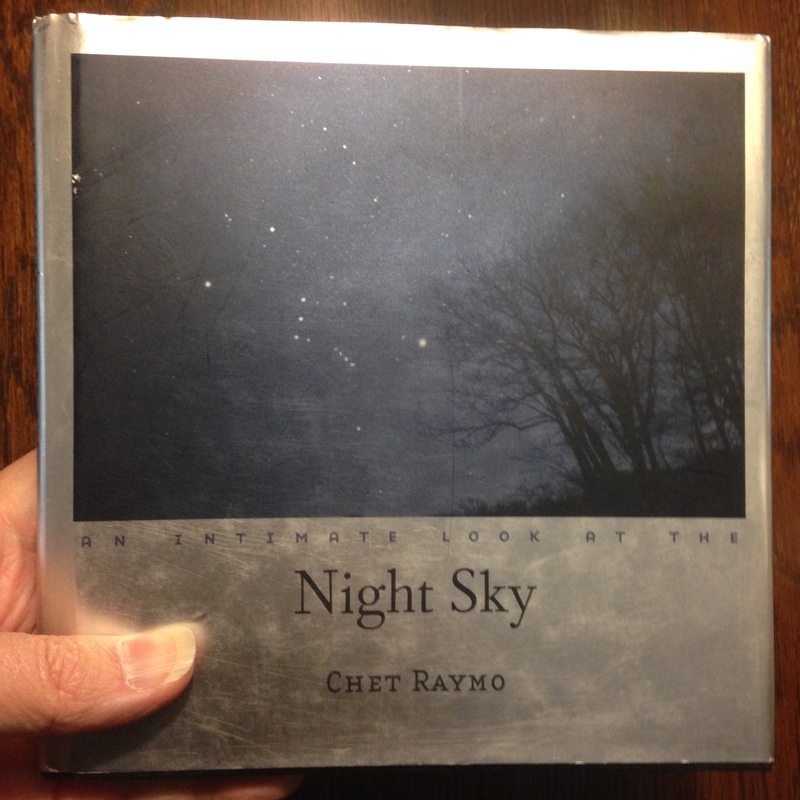 So yet another book purchased with the Christmas gift card given to me by Natalie: An Intimate Look at the Night Sky, by Chet Raymo. When flipping through it while at the bookstore, what persuaded me to add it to my shelves: finding myself reading more than a few pages into Chapter 2 — “Dark: Why the Night Is Dark.” Start a discussion of darkness with a fave poem by Yeats and quickly hit escape velocity from there, and I’m caught as easily as a particle veering too close to the event horizon of a black hole. 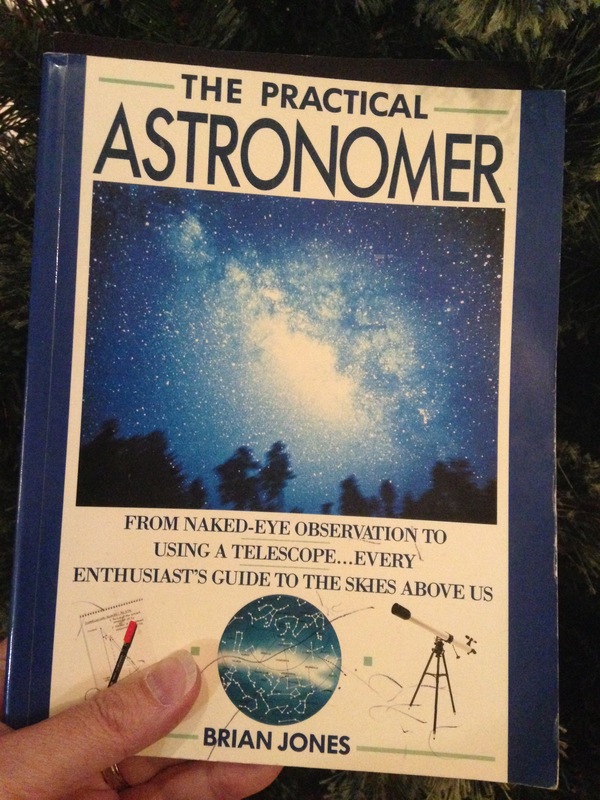 Thank you again, Nat, for a Christmas gift that will last in my heart as long as the stars.